MindNode is the ultimate tool for ideation. The intended purpose of the tool is to generate mindmaps, to help people explore creative new ideas—a use for which it is unparalleled. As a product manager, I use MindNode for branstorming product ideas, marketing strategy, or designing user flows on a regular basis. 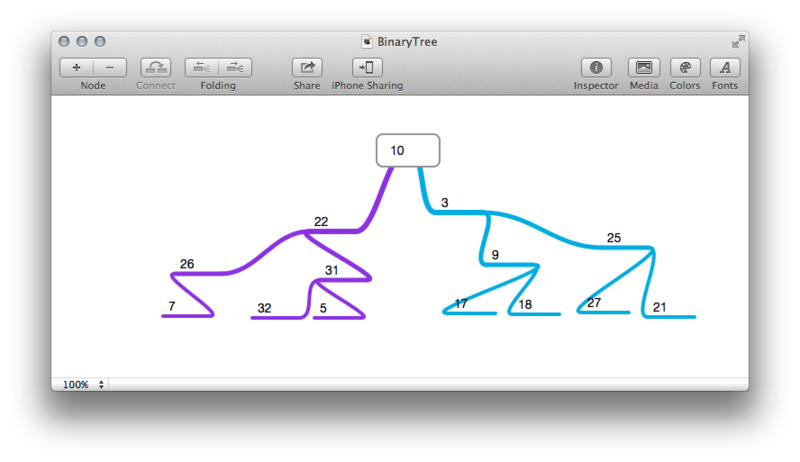 However, tonight, while working on a tree based algorithm, I discovered that MindNode is the perfect manipulable visualization tool for any type of CS tree. No longer shall I have to write, and rewrite, and rewrite, trees on paper. I heretofore will simply drag-and-drop nodes as I devise new algorithms! Flowboard : Gizmodo App of the day!